Last Monday night, the Green Bay Packers demolished the Minnesota Vikings by a score of 45-7. The Vikings never had a chance. The outcome devastated the little girl in the video above. We may chuckle at her behavior, after all, it’s only a game. But, how many of us do the same. We’ve just learned how to hide it. 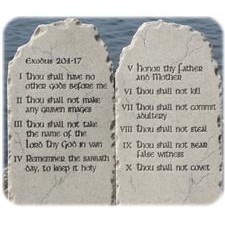 The second commandment applies, “You shall have no other gods before Me” (Exodus 20:3). 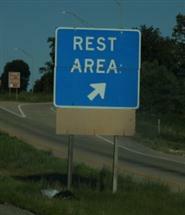 Dotted across the highways of our land are designated places of rest. It is wearisome to drive for long distances. Sleepiness can come on. For safety purposes, it is helpful to pull off the road, rest a while, and continue your driving with alertness. So it is with life. Life can become a wearisome task. The grueling grind of everyday life can leave us physically and mentally and emotionally exhausted. We need consistent rest, that we might live well. God knows that we need rest. From the very beginning of creation, God instituted a pattern which is good for us to follow. He created the world in six days and rested on the seventh day (Genesis 2:3). Following God’s example, Moses then commanded, “Six days you shall labor and do all your work, but the seventh day is a sabbath of the LORD your God” (Exodus 20:9-10). This is wise counsel. Let us find refreshment in our rest.